Whether playing ingenious, mullet-sporting problem-solver Angus MacGyver on "MacGyver" or good-natured, time- and cosmic-portal guardian Col. (later Brig. 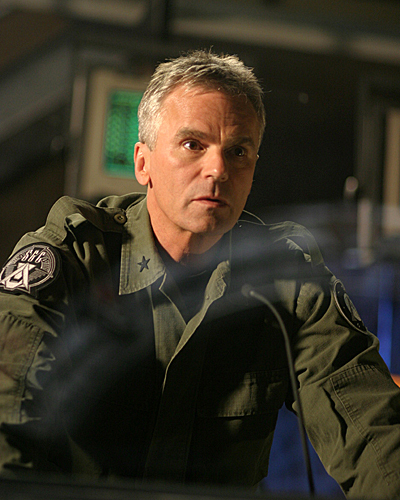 Gen.) Jack O'Neill on "Stargate SG-1," Richard Dean Anderson, aka "The Human Action Man," has been playing the hero for most of his professional career. And the 66-year-old Minneapolis native, who began his television career in 1976 playing Dr. Jeff Webber on "General Hospital," is out to save the day again, at least for die-hard fans, as he makes a special appearance this weekend at the New England Super Megafest Comic-con. 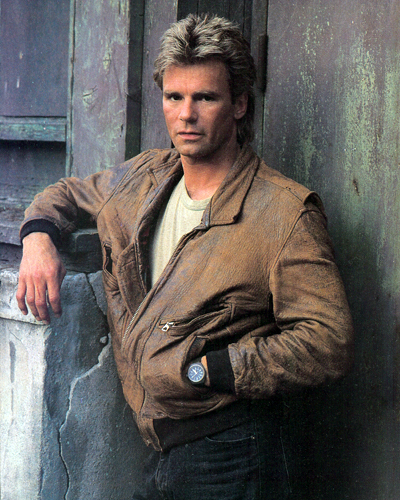 In 1985, Anderson landed the role of a lifetime as MacGyver. The series lasted seven seasons and ran for 139 episodes. It was hugely popular throughout its run and has continued to be popular all over the world. When he signed onto "MacGyver," Anderson confessed he had no idea the pop phenomenon the show was going to become. "I was relatively inexperienced. I never really had a long, sustained series job. I didn't even know what the potential was," Anderson said via the phone from his Malibu, California, home. "I learned rather quickly what the potential was for a television series and then became more aware of what kind of a voice a celebrity can have." As for his favorite "MacGyverism" from the show, Anderson said the simple answer is stopping a radiator from overheating by cracking a couple of eggs and putting them down the smoking pipe, while the complicated answer was building an ultralight aircraft out of bamboo and lawnmower parts. And, there's one "MacGyverism" that Anderson, even today, finds too unbelievable to fathom. "The qualifier for the whole thing was, if your bicycle is made out of magnesium or manganese, then you can fashion a blowtorch out of the pipes of your bicycle. And I just rolled my eyes," he said. "That stretched credibility a little further than we needed to." As for the most popular "MacGyverism" cited by fans, Anderson said it's when MacGvyer used chocolate bars to stop an acid leak. "The chemical reaction would cause a clog but it would take three tons of chocolate to stop it," Anderson said. "And I just had a couple of bars in my back pocket." Not only did MacGyver become a '80s pop icon, the fictional character became a positive role model, never carrying a gun and always carrying his trusty Swiss Army knife. As a result of the Swiss Army knife becoming synonymous with MacGyver, there was a sharp spike in the sales of multitool pocket knives around the world. "I left the show with about a gross of those things, all different sizes and shapes and colors and with engravings that people would give me," Anderson said. "I think we were hoping to get some kind of deal with the Swiss Army knife people, Victorinox, but it just didn't pass muster." Anderson confesses that he's not a fan of a new "MacGyver," calling the reboot "a little too flashy and goodsy" for his taste and missing that nuance of coolness that the original show had. "The obvious problem I have with the new 'MacGyver' is when it takes place. It's a modern-day 'MacGyver,' " Anderson explained. "MacGyver in 1985, I could believe that he didn't have a cellphone and couldn't communicate with the outside world and call in for help. Like nowadays, there's so much technology that you almost look silly not utilizing it, unless you're just backwards." In 1997, Anderson said he was "fast-talked" into agreeing to sign onto his next long-running television series "Stargate SG-1," even without seeing the original "Stargate" theatrical movie (starring Kurt Russell) first. "I immediately saw the potential for a very credible, extended-range series because they had the greatest single prop ever developed for creating stories, the Stargate. You go through that thing. You can go anywhere you wanted in the universe and you can tap in to any source you want," Anderson said. "My contention was we were only going to be limited by our creativity. We had an extremely creative bunch of writers and producers." One day during production on the second season, Anderson had an unexpected visit from Kurt Russell, the actor who originated the role of Col. Jack O'Neill (which Anderson took over), and the two men chatted for a while. "I was rather sheepish around Kurt and awestruck and he (Russell) said, 'I'm really glad you're doing this. This is the kind of thing that should be done. The story should continue and I think you're doing a great job,' " Anderson recalled. "There are going to be two different Jack O'Neills. But the original one I could never completely copy because my hair wouldn't do what Kurt's did... Kurt gave me complete kudos and said, 'Have fun, man.' "
Anderson said his personal high point working on "Stargate" is also the high point in his long career - the US Air Force making him an honorary brigadier general because of his positive portrayal on "Stargate SG-1." Then-Air Force Chief-of-Staff Gen. John P. Jumper presented Anderson with the honor at the Air Force Association's 57th annual Air Force Anniversary Dinner on Sept. 14, 2004, in Washington, D.C.
"They presented me the stars of a brigadier general... I got the set in a nice little glass case next to my dad's old flag," Anderson said. "I never did any military service but always respected it. My dad and granddad both served. My opportunity to even play-act, I wanted to be respectful to it, so I appreciate the gesture." While he has played two iconic pop culture heroes on television, in real life Anderson is working toward making the planet better as a Board of Advisers member of the Sea Shepherd Conservation Society and rallying behind its latest cause, to save the vaquita porpoise (found only in the northernmost tip of the Gulf of California) from the brink of extinction. Although he is recognized all around the world, Anderson jokes that it finally felt like he truly made it when his likeness was depicted on "The Simpsons" in 2006. "I've always been a massive Simpsons fan since day one," Anderson said. "And when I was asked (by Dan Castellaneta, the voice of Homer, who guest-starred on "Stargate SG-1") to do one of their episodes, my life was complete and my career could go no further." Semon, Craig S. "MacGyver Star Richard Dean Anderson to Appear at Super Megafest Comic-con." Telegram. October 21, 2016.